I Am That by Nisargadatta Maharaj. Page 358. M: Trust the teacher. Take my own case. My Guru ordered me to attend to the sense ‘I am” and to give attention to nothing else. I just obeyed. I did not follow any particular course of breathing, or meditation, or study of scriptures. Whatever happened, I would turn away from it and remain with the sense ‘I am’, it may look too simple, even crude. My only reason for doing it was that my Guru told me so. Yet it worked! Obedience is a powerful solvent of all desires and fears. In the end you reach a state of non-grapsing, of joyful non-attachment, of inner ease and freedom indescribable, yet wonderfully real. Sometimes I meet people who make me angry for no apparent reason. I find aggression rising up in me and a desire to instigate conflict. Upon closer inspection, I find that the people who evoke this in me are people who suppress their own anger. Their refusal to express anger invites me to express it for them. Push down one side of the seesaw and the other pops up – simultaneously and adjacently. Often they are spiritual types who believe that a spiritual person has only love and kindness and joy. Dark emotions are rejected. But life is always wholly manifest. You cannot make some of it go away. You cannot take the black out of the yin/yang symbol. Take some of the whole from the whole and only the whole remains. This is the curious act of transformation – owning your disowned selves. Seeing how you are expressed in your environment and as your environment. It is the ultimate equaliser. On the level of attributes, it is seeing your personal attributes in all beings and vice versa. On a transcendental level, it is different. Unity is apperceived in terms of pure awareness rather than attributes. I’ve been meaning to blog about bitterness for a little while. Bitterness is a frozen form of latent anger and resentment. Bitterness grows out of our refusal to let go when someone or something is taken from us. Bitterness is being constantly hurt by a memory. Occasionally, I see it in people’s eyes. One time I was at a hardware store and a young man in a wheelchair (obviously the result of an accident) looked at me with smoldering bitterness as I casually walked by. The intensity of his look has stayed with me to this day. I’ve seen it at other moments too – it can be very intense and is often projected onto someone else. But the truth of the matter is that we all have the same bitterness as the man in the wheelchair. Everyone has all qualities. Life is holographic: as the macrocosm, so the microcosm. It is just a matter of where it features in your life. It may not be obvious in your life, but it is there. Perhaps instead of you expressing it yourself, it finds expression through your bitter old neighbour or someone at work or a relative. You may say, but that’s not mine! But it is. This world is non-dual. There is “not two” – only the One – Brahman – your own Self. When you see bitterness in another, ask yourself: Who is feeling this bitterness? You are! The bitterness is in you. (This also applies to seeing virtues in others). The secret is to become friends with bitterness. After all it is a part of your own self. You can’t make it go away. Attempts to suppress it will fail – it will just express itself in another area of your life. Your task is to appreciate everything in life. If you reject everything that is “bad” and embrace only “good” then you will become bipolar and be constantly running away from “bad” and trying to grab “good”. Don’t live like that. Thus resentment is the result of lop-sided perceptions. A failure to see the perfect harmony and balance in life. Seeing only loss when the fact is that loss and gain go together. Finding out how you gain from your losses neutralizes bitterness. 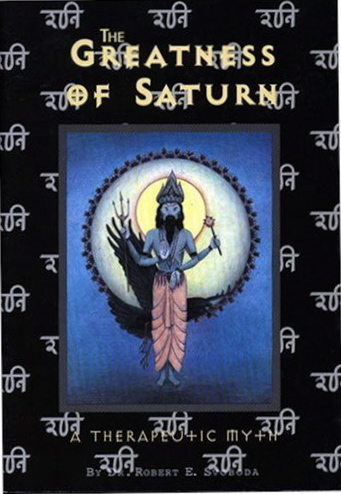 In Vedic astrology bitterness is governed by Saturn aka Lord Shani. Everyone has Saturn in their horoscope. For those who are astrologically inclined, reading the book pictured above may help to befriend bitterness. Because we know what ugly is. Because we know what bad is. Every aspect has its counterpart. What is heavy resides on what is light. Long and short opposes each other. Tall and short support each other. A voice is made up of sounds. What begins has to have an end eventually. Thus he instructs other by example not by words. Things in the world continuously change. The Wise One doesn’t cling to anything. For him all are seen with the same potentiality. He acquires merits but is not attached to them. His takes things the way they are. In performing he is above the actions. Thus his merits are always with him. The simultaneous balance of loss and gain, yin and yang is perfectly expressed in this image. Life is always full. A month later, war reigned and all the sons of the village were called to fight as soldiers. Sai Ong’s son, however, could not go because of his broken leg. All the others perished, but Sai Ong’s son lived. The compassionate One, whose abode is beyond the universe. Be propitious, be propitious, Lord, Destroyer of Kamadeva. 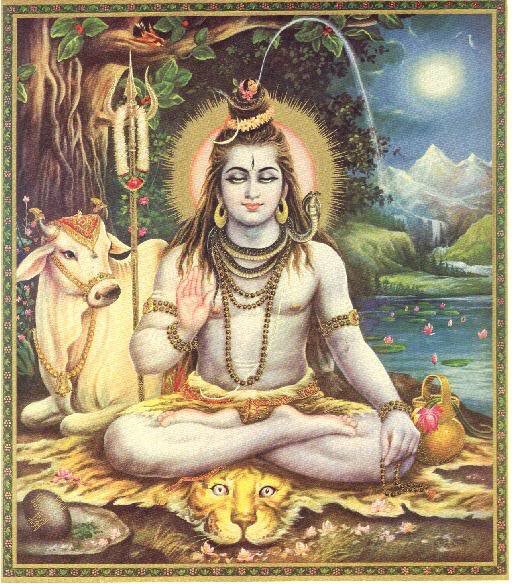 But continuously and always I bow to You, O Shambhu! Lord, protect me! O Shambhu, I bow to You. You are currently browsing the SunYogi Blog blog archives for March, 2011.